Categories: Anatomicals Showering Items, Hair Care. “Well, i knew it was feeling a little off color, but i just put that down to the bad dye job. i never knew my once beautiful hair would actually commit suicide by tossing itself off dramatic white cliffs to the rocks below. now look at me, completely bald”. 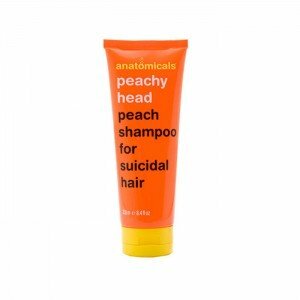 before it’s too late, bring your locks back from a state of complete depression with this conditioning peach shampoo. it’s hair heaven here on earth.